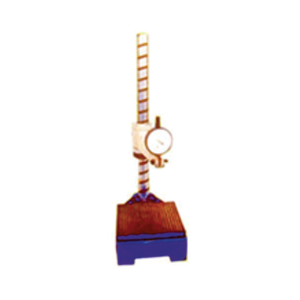 We are among the eminent names in industry, which is engaged in the manufacture, import and in the supply of a huge variety of Carbide Dead Center Manufacturer, Dial Comparator Stands which are high on demand in the market among the clients. We make use of world-class raw materials for fabricating these stands, which enhance their strength and provide longevity to the stand. All the products offered by us are highly demanded among the clients because of their excellent feature. 17, Jay Laxmi Estate, Near Sonini-Chal, Cross Road G.I.D.C., Odhav, Ahmedabad-382415, Gujarat, India.